Natural, high quality, untreated, beautiful, Jyotish gemstones prescribed in accord with one's personal Vedic horoscope, guaranteed to please the eye and raise your spirit. Discover the ancient discipline of Vedic gemology and the evolutionary use of natural gems. Discover the use of gemstones as natural, holistic remedies. Start wearing the right, Jyotish, astrological gems, based on your Vedic natal chart, and you will feel healthier, happier, and more fortunate in all aspects of your life, relationships, career, business, & mundane success. If your goals are more spiritual, the proper gems will enliven the laws of nature within yourself. Your being automatically will be re-directed toward deeper and deeper level of perception, automatically evolving your spirituality. Only natural, higher qualities, clean, proportionally cut and untreated gemstones posses the requisites to support, uplift and create a positive energy for the wearer. On the other hand, low quality gemstones that have flaws and imperfections, added to poor & lifeless cuts, have shown to produce an adverse, negative and harmful influence. Beware of Indian quality "gems". Well presented, exciting web site look, soo much information that sometimes can be spell-binding, but in regards of gemstones, known to be not clean & of lower qualities. Do not buy "Jyotish" stones from India if you are looking for beauty, auspicious perfection, & support of nature. Do you want to enjoy the beauty & perfection of natural gemstones, and to know that the gems that you are wearing are beneficial to your persona? 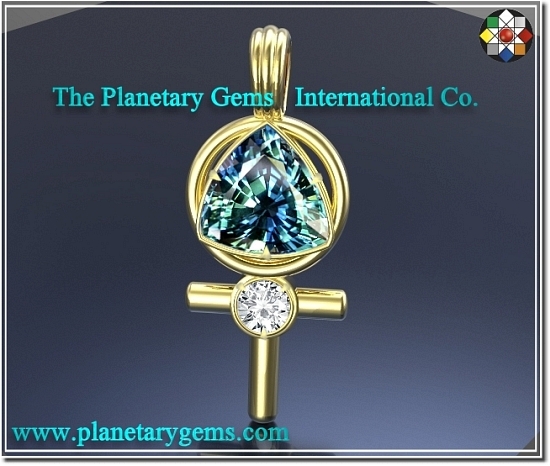 Try then the power of the Planetary Gems and Planetary Astrological Talismans, our beautiful jewels "with a purpose". A Planetary Gemstone Talisman is a sacred jewel, charged with auspicious gemstones to drawn positivity, good fortune, Karmic strength, and evolution. Time to Be Your Strong & Free Self.